The stunning city of Melbourne is built on a grid of interlocking streets, all serviced by a tram system. Traversing the city is easy, whether it be by bike, foot, tram, or other modes of transport, making exploration fun and exciting. 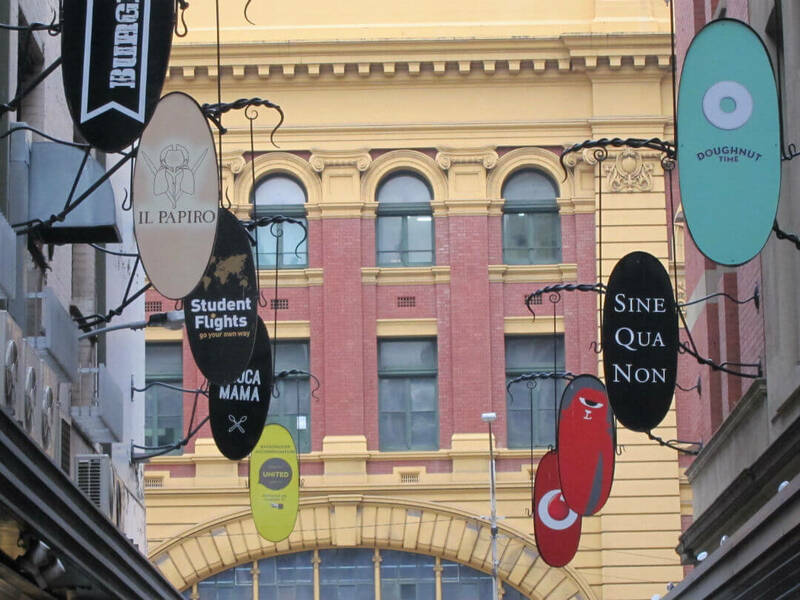 Filled with quaint shops, art galleries, bookstores, a wide range of ethnic food and open cafes, exploring Melbourne’s laneways is the ideal way to reach the heart of Melbourne. 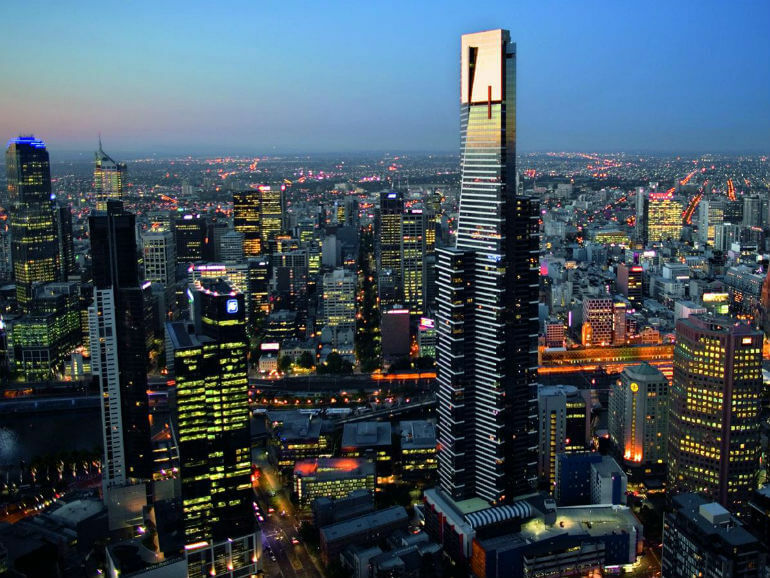 Melbourne’s infamous Skydeck, in Eureka Tower, Southbank, offers breathtaking panoramic views from the highest viewing platform in the Southern Hemisphere. From the summit, 297 metres above street level, you will enjoy unparalleled views of the city, the surrounding urban sprawl, Port Phillip Bay, the world renowned MCG and the beautiful Dandenong Ranges. The Eureka Skydeck offers a breathtaking experience of a city that never sleeps, irrespective of the weather or time of day. 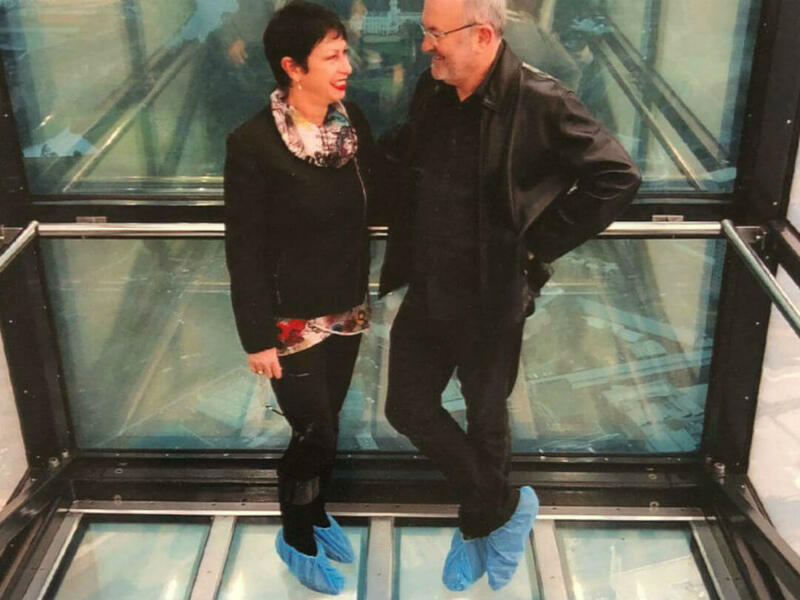 Thrill seekers can take their adventure a step further with The Edge experience – in a glass cube suspended 300 metres over Melbourne from the 88th floor! 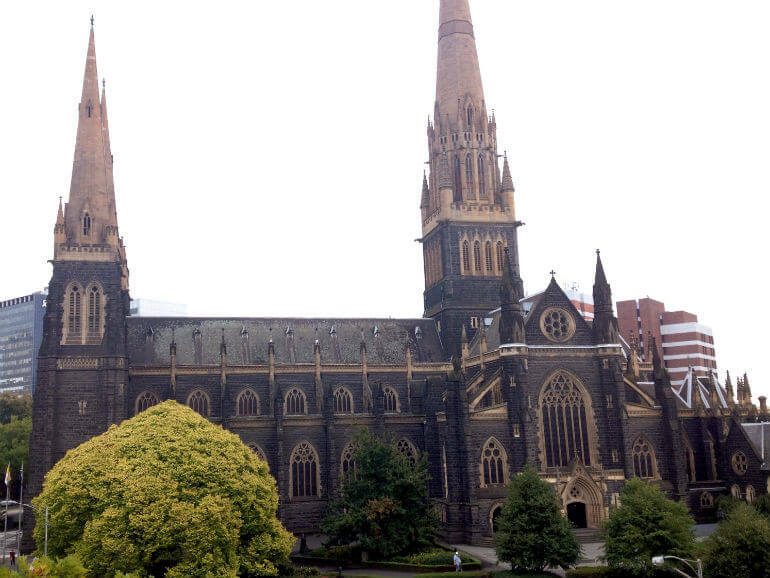 St Paul’s Cathedral, on the eastern corner of Flinders and Swanston Streets, in the heart of the CBD, is one of Melbourne’s most significant landmarks. Built in stages and consecrated in 1891, the magnificent gothic transitional architecture is composed of limestone and sandstone, giving it a warm, welcoming feel and a delightful contrast to the city’s cool surrounding colours. Magnificent spires rise majestically skyward, while the internal structure contains a pipe organ, dalle de verre glass, 13 bells in the belfry and an array of spectacular stained glass. 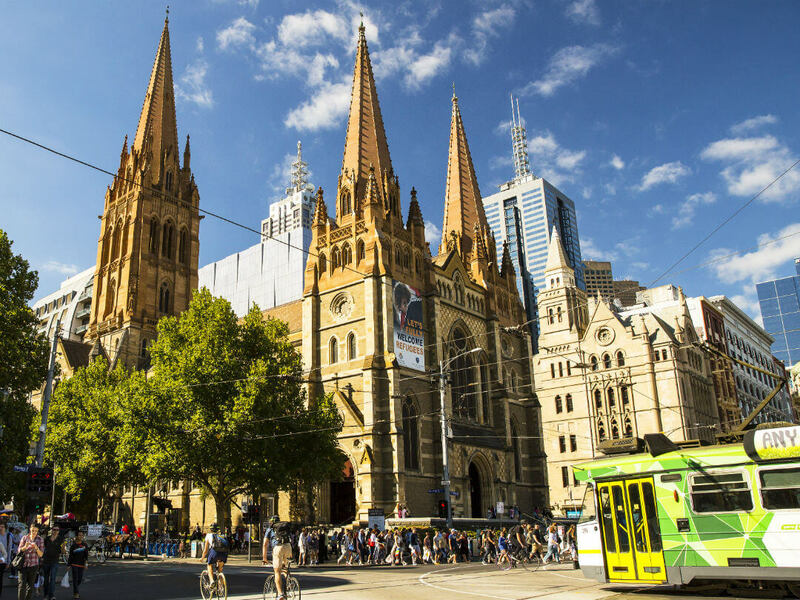 Situated across the road from iconic Flinder’s Street Station, an architectural marvel in itself, St Paul’s is a place of great beauty and tranquillity, right in the heart of the city. 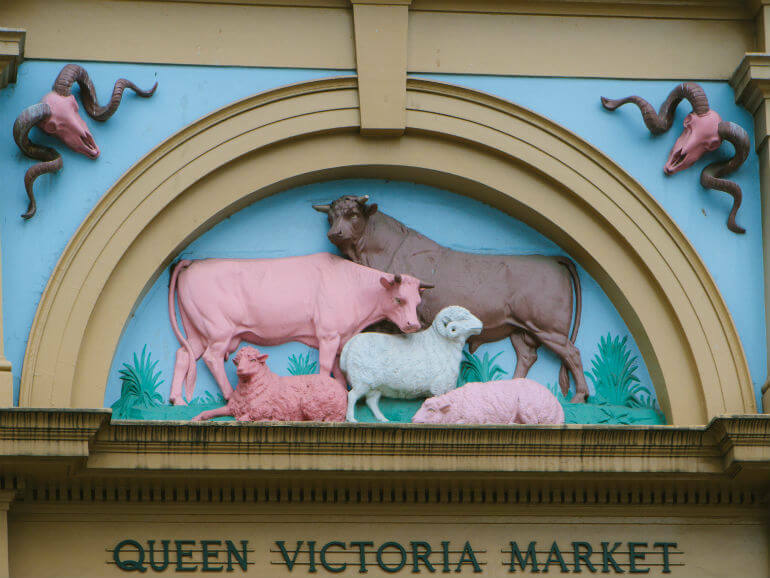 Known by Melbournians as the Vic Markets, this thriving hub on the corner of Victoria and Elizabeth Streets is a bustling centre that represents the very best of what Melbourne has to offer. 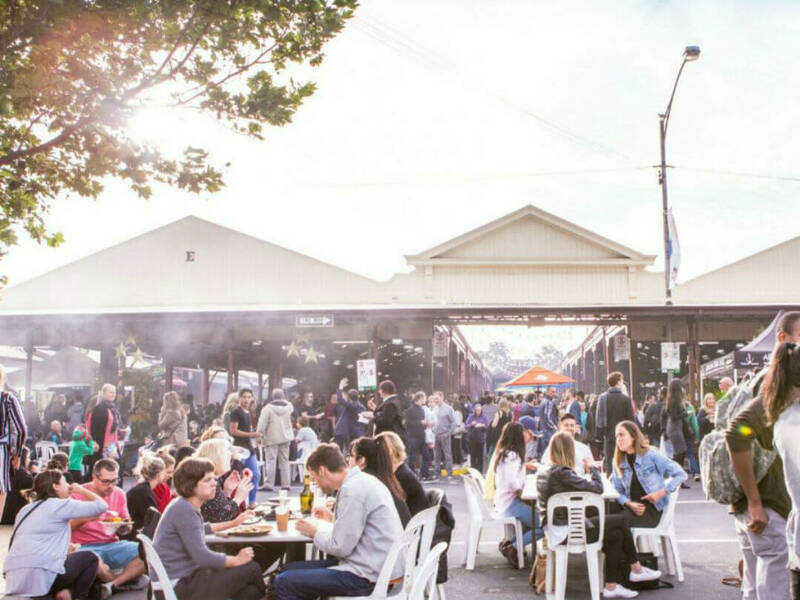 An eclectic mix of cuisines and cultures, brought to life by the diverse ethnic groups who make the markets so much fun, make this an absolute go to place when visiting Melbourne. Tremendous fresh local produce is on offer and a wide range of arts, crafts, clothing, jewellery and jam donuts – a market specialty for more than 50 years. 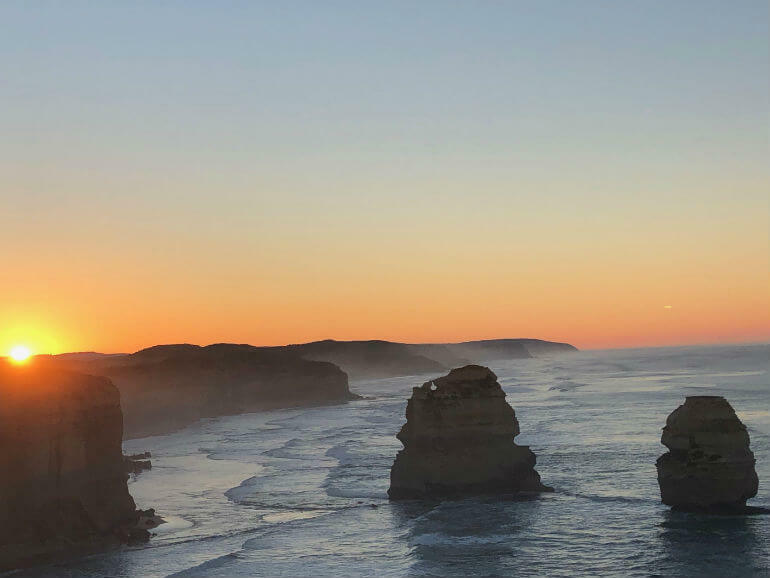 The magnificent Great Ocean Road is 243 kilometres of the most spectacular scenic drive in Australia. Stretching between Torquay (just south of Melbourne) and Allansford, the road was built by returned soldiers in honour of their fallen comrades in WWI. 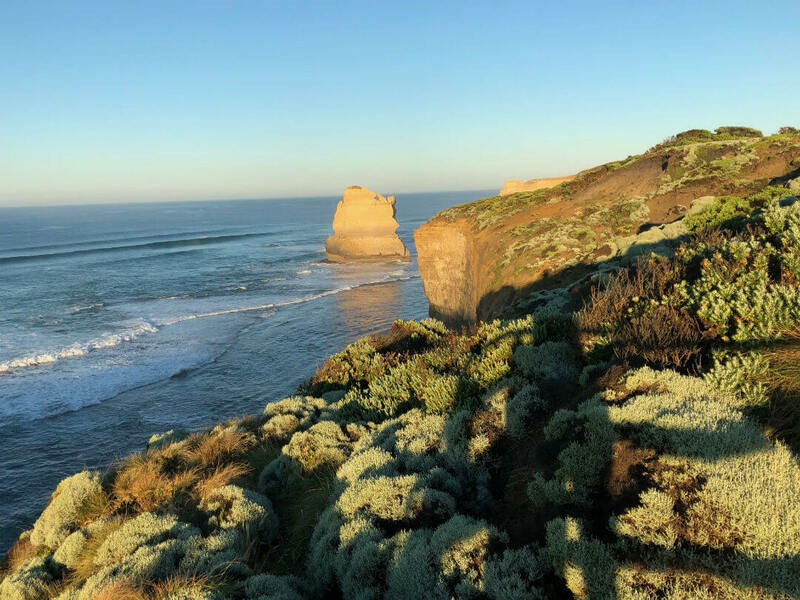 The panoramic views include the Twelve Apostles, London Arch, The Grotto and Loch Ard Gorge, all spectacular sandstone and limestone formations, which are breathtakingly beautiful. Sheer cliffs and crashing waves add to the drama of this spectacular drive, an elemental highlight of a trip to Melbourne. 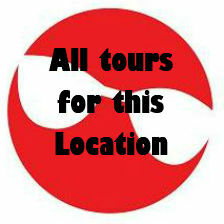 You can see the highlights on a Great Ocean Road Day Tour or to really get the feel for it stay a little longer. 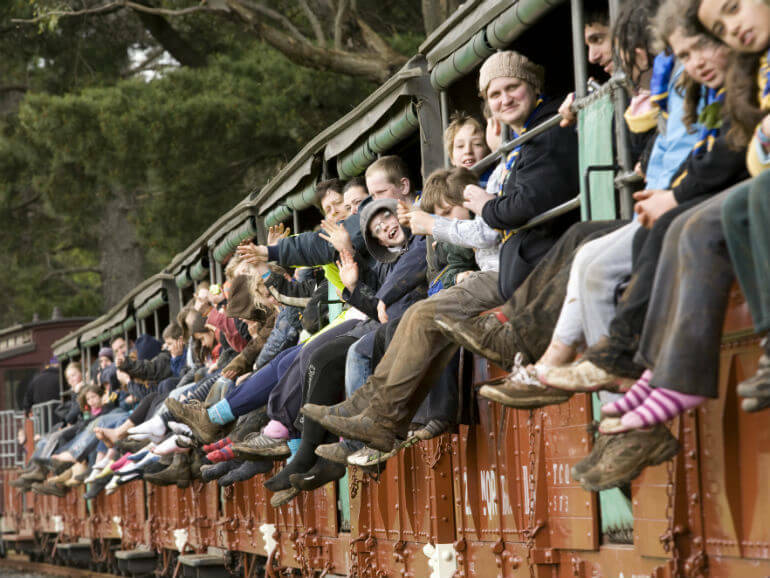 The majestic Dandenong Ranges, an hour’s drive east of Melbourne, is popular with visitors and locals alike. Amid the fertile and verdant landscape, alive with a rich variety of flora and fauna, are numerous charming villages, offering superb local produce, hand crafted wares, friendly service, freshly ground coffee and scrumptious delicacies. The scenery is breathtaking with babbling brooks curving around giant tree ferns, below a canopy of lofty Mountain Ash trees, synonymous to the area. Cool most of the year round, the Dandenongs can get snow in winter and early spring sees a flourishing of delightful alpine flowers. 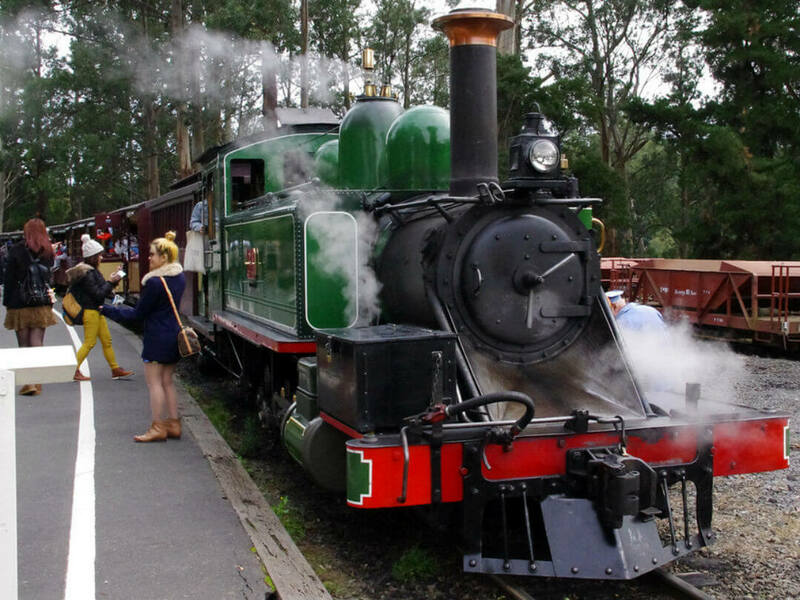 One of the most beautiful areas just outside of Melbourne, the Dandenongs is the ideal place to relax. 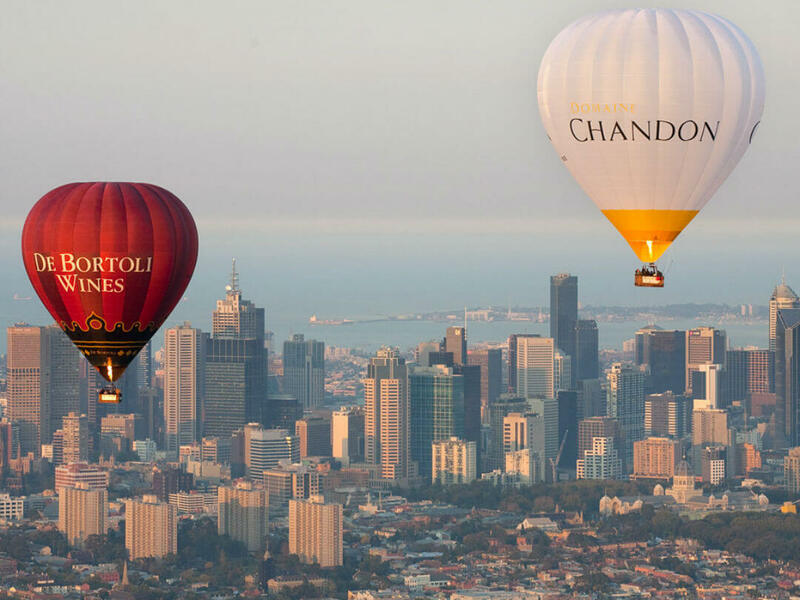 Hot air ballooning is a serene and pleasurable endeavour at the best of times, but in Melbourne, it’s something extra special. 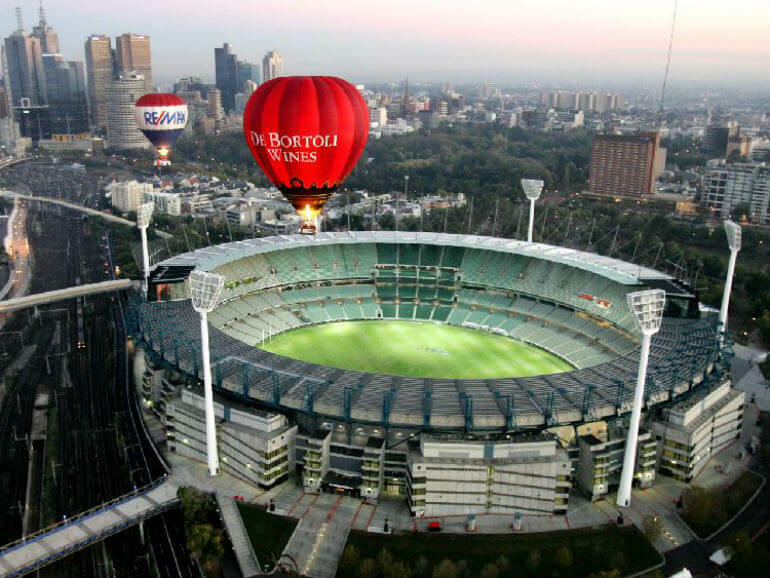 One of the few cities in the world where balloons float through the early dawn, directly over the city skyline, this is an opportunity to experience Melbourne from a bird’s eye view, as the city begins to wake. Ballooning in the nearby Yarra Valley is also a spectacular experience, as you rise aloft over verdant hills dotted with vineyards and farmscapes, you’ll witness an unfolding tapestry of lush Victorian countryside. 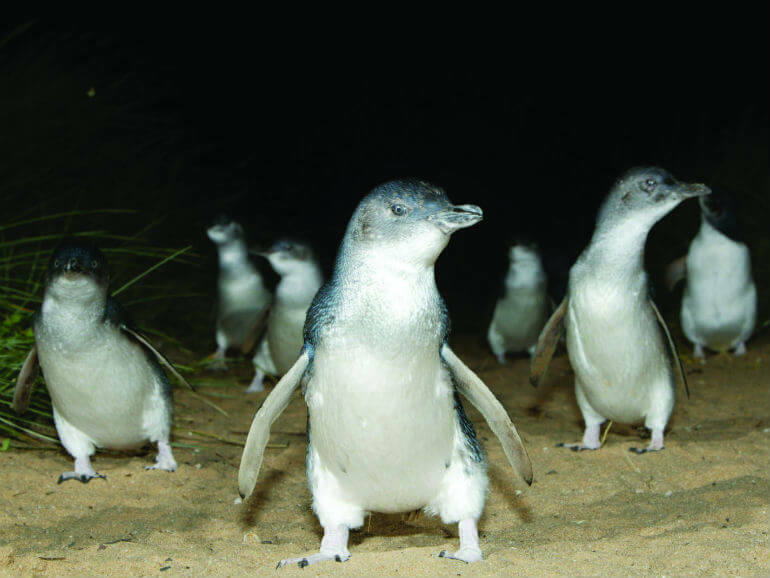 Each evening at dusk, as the waves crash on the shore, thousands of Little Penguins emerge from the surf to begin their nightly scamper up the beach to the sand dunes where their chicks wait, calling in anticipation of their daily feed. 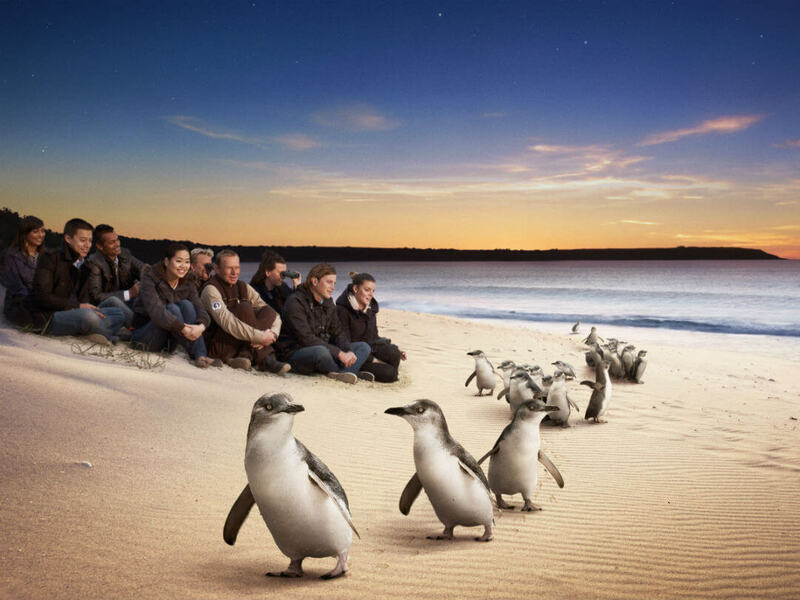 The Penguin Parade is a spectacular sight and Phillip Island is one of the few places in the world where the species can be seen en masse. A large colony of fur seals (up to 16 000) also call Phillip Island home and it’s an important conservation area for a variety of bird life. 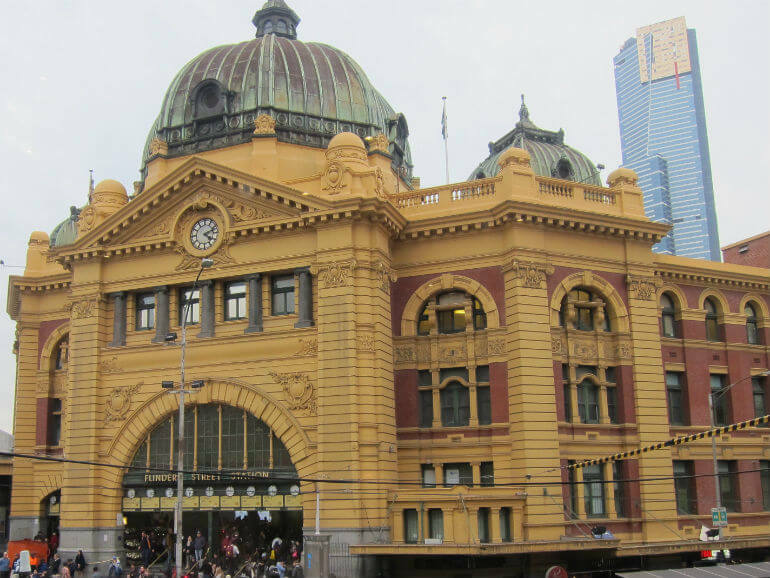 Melbourne hosts a variety of superb wildlife attractions, from the carefully cultured natural environment of Melbourne Zoo, to the conservation rich Healesville Sanctuary, home to the platypus breeding program. 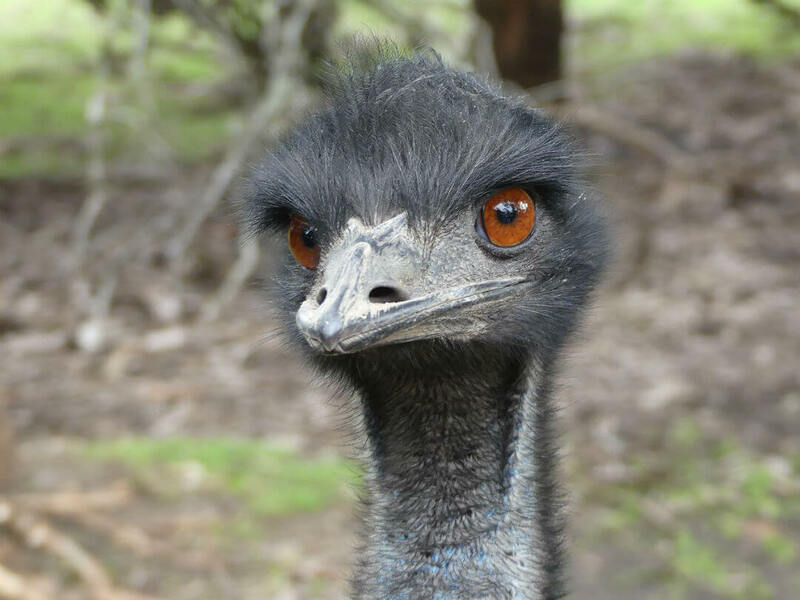 Each location has something special to offer from exotic species to Australian natives, marine life at Melbourne Aquarium and replicated African savannah at Werribee Open Range Zoo. 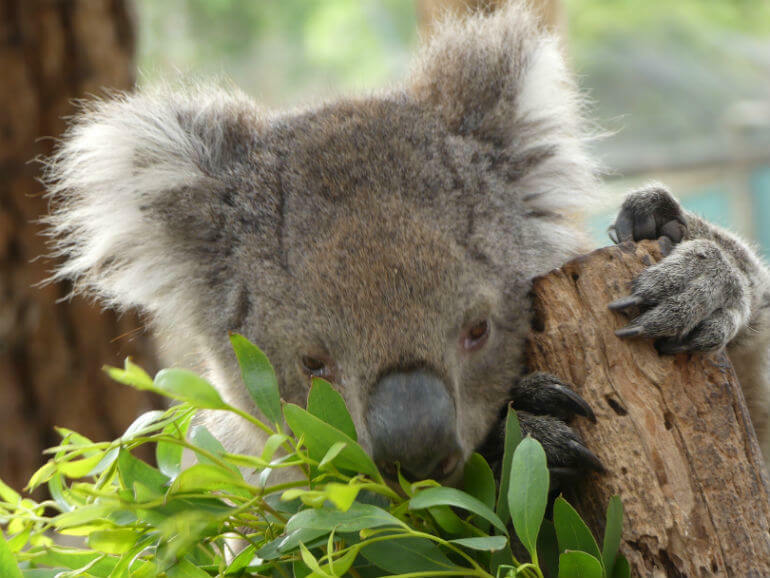 We have a range of different wildlife attractions in Melbourne that you can browse through and book in advance. 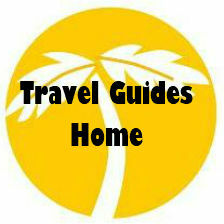 Also see our Great Ocean Road things to do Travel Guide.